Registration: The SHE Conference is Sold Out! Please contact the Chamber to be added to the wait list. 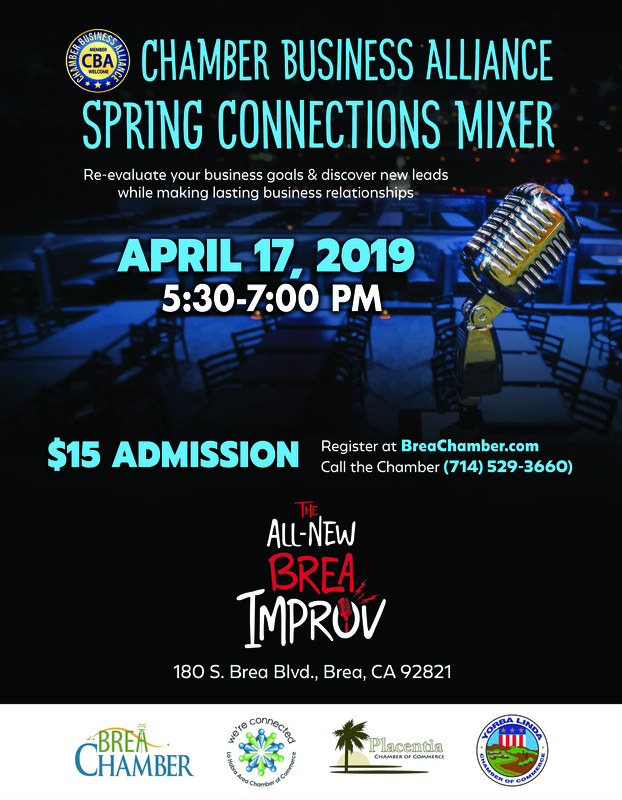 The Chamber Business Alliance invites you to the Brea Improv Spring Connections Mixer! Our Spring event is a fun and relaxed opportunity to exchange referrals and build lasting professional business relationships. hors d'oeuvres, host bar and a few laughs at the new Brea Improv! Yorba Linda Chambers of Commerce.